This past weekend, Assemblymember Monique Limón returned from a day-long tour of the migrant shelters on both the U.S. and Mexican side of the border, camps that currently hold almost 15,000 children, according to NPR. Limón received a first-hand account of the desperate conditions faced by the immigrants, along with members of the state’s Latino Legislative Caucus. “No family and no child deserve to be subjected to the conditions we saw today, especially not at our own border,” she said. 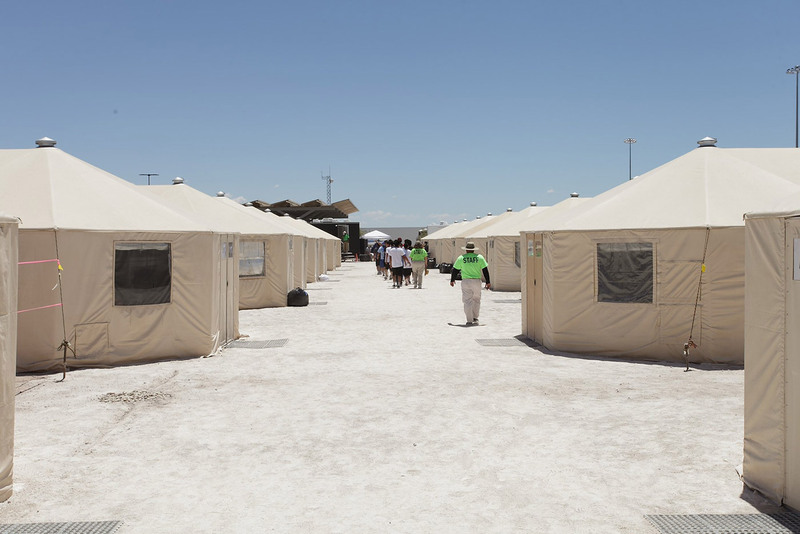 According to Limón, each day, the number of people being held in the shelters fluctuates, and the conditions faced by individuals also vary from shelter to shelter. In one of the three shelters she visited, run by the San Diego Rapid Response Network, 532 individuals were being held. Since October, around 4,500 detainees have been held at this shelter alone. Correction: 15,000 are being held at the border. An earlier version of this story stated 150,000 children.